Welcome! We’re so glad you’re here. 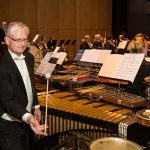 If this is your first time to one of our concerts or to a live orchestra performance, here are ten tips to enhance your enjoyment of the performance. It’s okay to zone out. Many of us aren’t used to sitting still in a quiet place for a long time. You might feel antsy and restless, or you might feel nervous because you don’t want to miss something. It’s totally okay to relax and rest your eyes. Let the music flow into you, and you have a real shot at an enjoyable evening! You’re going to have the feels. Live symphonic music can touch the heart, get your blood boiling, or tickle the funny bone. You may laugh, shed a tear, cheer and jump to your feet. It’s even been known to happen all at the same time. There’s something magical about a live performance that is like no other. On stage are anywhere from 50 to 70 professional musicians, some of the most famous and accomplished in the world we’re proud to say. When they play together, you’ll be able to feel and hear a sizzling energy. 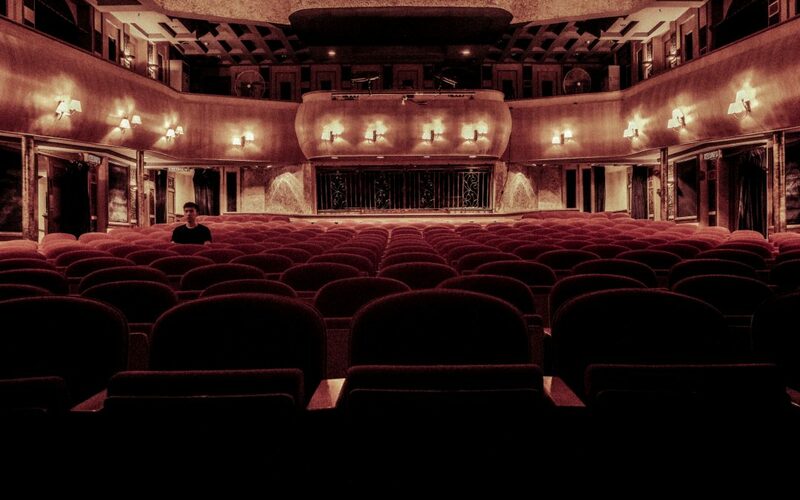 When you ask the orchestra members, they feel the same thing back from the audience, which creates a whole new experience different from an empty hall. So you’re part of the magic happening right now! The concertmaster tunes the orchestra. The concertmaster, also known as ‘first violin’ or ‘principal violin,’ is responsible for leading the violin section, which is usually the largest instrument section in the orchestra. 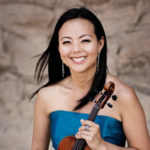 Our concertmaster, Alyssa Park, is an acclaimed soloist, and you might have seen her on last year’s Oscars telecast where she was concertmaster. The concert has two halves. The first half is usually about 45 minutes to an hour, followed by a 15 minute intermission (grab refreshments in the lobby! ), followed by a second half which is usually about 45 minutes to an hour. Applause work a little different than you might expect. If you look on the concert page, you will notice some of the pieces broken up into movements. It’s a common tradition that the audience does not applaud after each movement even if the orchestra pauses, but instead, saves the applause until the end of the whole piece. Unless there’s an exception. See #7. Rules are made to be broken. There are many exceptions to all the traditions. Sometimes the orchestra doesn’t pause between movements, sometimes people applaud after a movement anyway, sometimes there’s no intermission, sometimes one half is shorter or longer. If you go to a ballet or opera, people often applaud right in the middle of a piece, after a great aria or dance move. Just play along with your audience neighbors, you’ll be fine. Symphony – this is a piece typically in 4 movements, played by the whole orchestra. Concerto – this is a piece typically in 3 movements (fast, slow, fast) with a solo instrument backed by an orchestra. 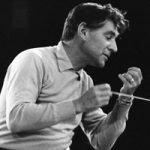 Overture or Suite – this is a short piece that is a summary of a much larger piece like an opera or ballet. Join us again! The more classical music you hear, the more you’ll develop a taste for it. The drama, the nuance, and the majesty will call you back – maybe not immediately, but the more you listen and learn, the more you’ll love it!